Find True Love with a Beautiful, Single Colombian Woman. Tired of meeting local women? Colombianwoman.Com serves as your best option in finding true love. With the help of the internet, communication between men and women who are living in different countries has become more convenient and accessible. Today, matchmaking services are exploring the digital world. In line with the needs and demands of the singles industry, matchmaking sites came rushing to a lot of personals who are looking for true love. The establishment and organization of thousands of online matchmaking companies serve as an answer to clients who are actively waiting for that ideal companionship. In Colombia, the biggest sites that have powered the singles industry include Craigslist and Colombian Woman. Although they share the same vision in matching Colombian ladies and foreign men, there are still major differences that divide these two in choosing for the best matchmaking service. Craigslist is an American classified advertisement company catering sections such as sales, gigs, housing, jobs, and services. One of the sections in Craigslist is the personals section which is where dating and meeting men and women come in. A lot of men and women have been involved with the dating services of Craigslist. Different feedbacks were given, some are beneficial, some are detrimental; this is why reviews are lower than expected. 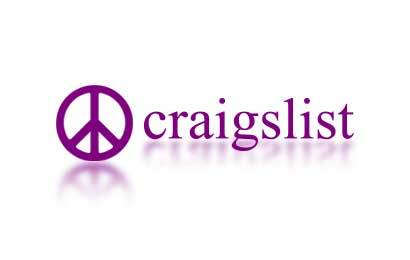 In Craigslist, there is no specific company name posted when it comes to online dating or matchmaking services. This is because the personals usually come from individuals themselves; it is not posted through a host company. Because of this, scams are commonly experienced and the victims cannot sue Craigslist for that. Hence, it is very likely that no one will be held accountable if anything goes wrong. Security is not guaranteed and this can be problematic in so many ways. Profiles or personals posted on Craigslist are never guaranteed authentic since they are not verified. Verification is an important aspect when it comes to personals because it is very easy for anyone to gather images of women or men from the internet and post them on Craigslist with fake names and stories for scamming purposes. This is definitely something everyone would want to avoid encountering into. Unfortunately for Craigslist, there is really no way of verifying whether the person in the personals truly exist at all. Catfishing, which is the use of fake identity for deceptive purposes, is extremely common in Craigslist and has resulted to people losing thousands of dollars. Colombian woman gives you an assurance of the authenticity of its women’s personals. You should always consider your security in meeting someone from Craigslist. Cases like murders, kidnappings, or scamming have been reported in meetups involving such site. Although this might not happen too often, the chance of it happening is very high considering that Craigslist is open to anyone on the internet. The site aims in bridging gaps between foreign relations, such as men of western influence and single Colombian ladies. These women are evidently sincere in meeting the man they can spend their lives forever with; this is also hopeful in getting married with someone who is worthy of their love and affection. Behind the success of this site, several hands-on staff are working full time to better serve you in hopefully meeting the woman of your dreams. The company is committed to help you be effective in finding the woman you will spend the rest of your lives with. Colombian Woman is a specific company carrying its own specific name in its matchmaking services. The presence of a company name guarantees security as it evokes a sense of trust. Moreover, important details about the company are provided for and are easily found in the site. You can be assured that you are dealing with a matchmaking agency which has earned the trust of many clients and has become an optimal site handled by a legitimate company. In Colombian Woman, all the profiles of Colombian singles you can see in the site have been personally verified by our local staff. The pictures presented are guaranteed to be authentic, and the women in the pictures are the same women clients will meet if they do decide to meet up. There is no room for catfishing in this matchmaking site. Clients are not faced with the problems of authenticity and fake identities as compared to unsecured sites used for dating services which are easily accessed by anyone on the internet. The company offers singles tour services for men who wish to meet Colombian single women in person. Colombian Woman offers tour packages which already include accommodation arrangements and social events which serve as the place where men and women meet and get to know each other more. Although it comes with a price, security is again guaranteed when it comes to the actual meetups. Moreover, everything is arranged accordingly by the staff so that the clients would have nothing to worry about. Clients will no longer think twice about meeting up considering that everything is securely-managed and assurance is present with regards to the women whom the clients will meet up with. Colombian Woman is solely a matchmaking site focused on helping men meet women from Colombia; thus, security is guaranteed. On the other hand, Craigslist is a site which does not only focus on the dating aspect and that is the reason why it is more relaxed, having its security measure a bit too risky for men searching for women and vice versa. After all, security should always come first. without express permission from Colombian Woman.